Secret Gems is all about helping people and sharing secrets that have helped me. Since we are friends now and I always pass on the good stuff I have found to my friends and family, I am gonna share things on this page that have worked for me personally. Nothing on this page will be just because, everything here has a purpose that is geared to helping you create success and getting you a step closer on your journey of creating your own healthy-do-over. And to be clear yes, I am an affiliate to most of these items here and some I will promote because honestly I love them enough to and I know they can help you too, if you are willing to keep an open mind and try something new. 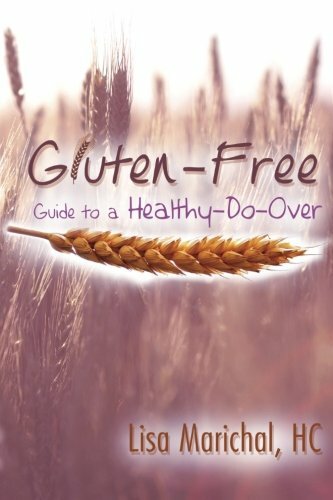 This page will NOT and will NEVER promote a bunch of gluten-free crap in a box or items that I don't believe in. I hope you enjoy and try some of these out for yourself, I'd love to know wha products that have worked for you and that you believe in, so feel free to inbox me. 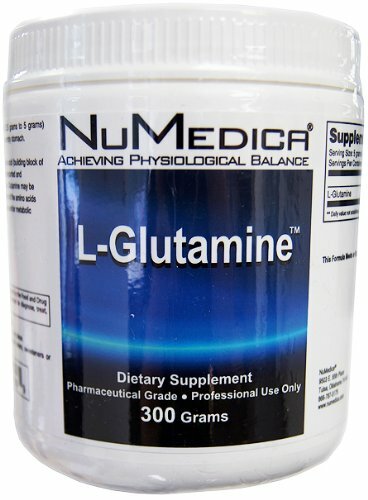 I love NuMedica and have used and still use most of these products today. 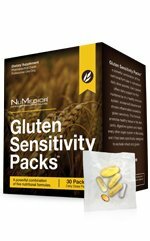 The Gluten Sensitivity Pack are quick and easy ways to remember to take your vitamins that support what is going on in your inflamed gut and these little babies help start to put out the fire. I am obsessed with these... This helps if you have inadvertently been exposed to gluten while eating out. This little wonder is a digestive enzyme that will breaks down 99% of not only gluten, but dairy, soy and egg within 90 minutes of digesting questionable items. This is NOT a free pass to go out and eat gluten by any means, this is used ONLY as support to protect you in case you have been accidentally exposed. Typically there are 3 different timeframes when you can have an exposure to gluten that will bring on symptoms: 1) Within the first couple of hours 2) Within 48 hours or 3) After 8 days. 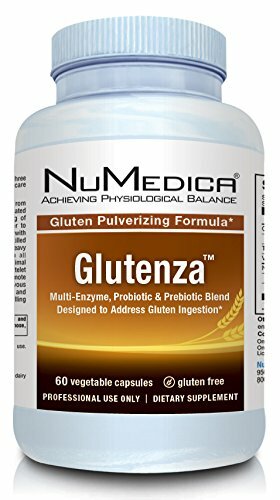 Glutenza helps break down the proteins before they get into the small intestines which generally happens within 2 to 4 hours after you eat something before it leaves the stomach and goes to the small intestines and that is what makes this product AMAZING and so BENEFICIAL because this enzyme helps this down 99%, then you have a much less of a chance of activating your immune system. Includes DPT4 and two probiotics with the specific strains that help the body break down these proteins, a prebiotic that works within 6 hours (works in the small intestine) and not the usual 48 hours (working mainly in the large intestine). 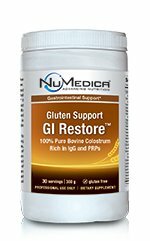 This prebiotic is crucial because it works in the small intestine which is where celiac disease originates. I personally take 1 capsule every time I eat out and then 1 capsule a day to help rebuild my small intestine which will help digest food easier in the future. Gluten Sensitivity PRP Balance™ Spray is a bovine colostrum based natural immune balancing spray. It contains Proline-Rich Polypeptides (PRPs) which can help to modulate normal immune responses. Gluten Sensitivity Tri-Flora™ is a breakthrough combination probiotic formula providing a concentrated synergistic spectrum of Saccharomyces boulardii (SB), Lactobacillus and Bifidobacterium. NuMedica® has chosen the world-renowned Institut Rosell in bringing you the select strains in this formula. 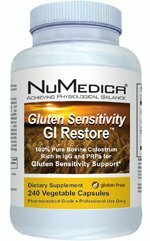 Gluten Sensitivity Tri-Flora™ offers protection from pathogens with SB and at the same time protects the intestinal tract through the restoration of beneficial intestinal flora. The three bacteria strains in this formula are proven to be resistant to gastric acidity and bile salts. GS Micellized D3 1200 - 1 fl. Oz. 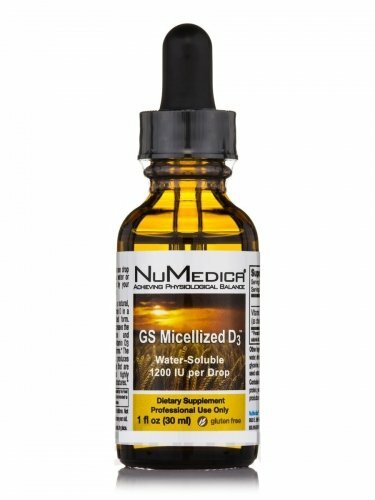 Gluten Support Micellized D3™ is a natural, soy-free, form of Vitamin D in a water-soluble micellized form. Micellization greatly increases the solubility, absorption and bioavailability of our vitamin D3 over oil or emulsified forms. * The micellization process produces tiny droplets (micelles) that are then formed into highly absorbable aggregate structures. Especially helpful when you have a candida overgrowth and are working to remove this from your body.